Are you thinking of moving to Greeley CO? If you’re one of the many people seriously considering moving here, I hope my blog post about life in Greeley CO will help you decide to move here with your family. It’s a great community! 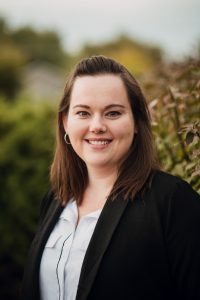 I’m Sam Zishka, owner of West Ridge Accounting and Bookkeeping in Greeley CO. My team and I serve local businesses here in Colorado, as well as across the U.S.A. My family and I decided to move here to Greeley for several reasons, including the ones listed below. “Great From the Ground Up” – that’s the city of Greeley’s slogan and it’s so true. Based in one of the country’s largest agricultural counties, Greeley is literally great from the ground up. The many farms and ranches here provide food to the table of millions of people. The farmland provides beautiful scenery as you drive in and around Greeley and Weld County. Greeley CO schools: there are many to choose from. There are public schools, charter schools and private schools. Of course, you can always home-school, as well. The G-Town Promise is such a great program because it’s basically Greeley promising to help our city’s youth succeed. Read more Greeley’s promise: The G-Town Promise. High Plains Library District: When my family and I moved to Greeley, Colorado, we were pleasantly surprised with the local libraries. We are so fortunate to have such a stellar library district. They have many, many services for families and business owners, too. Be sure to visit the newest library: The Farr Library and don’t forget to get your library cards for the whole family. Check out High Plains Library website. Shopping: If you enjoy shopping, you’ll be happy to know that Greeley, Colorado has many interesting and popular shopping destinations. Downtown Greeley is one of a handful of downtown districts that is a Creative District. There are many downtown activities, especially in the summer and fall, with Friday Fest, The Greeley Arts Picnic, OctoberFest, Cinco De Mayo, and so many other events for the whole family. Check out Downtown Greeley’s website for all the details. The Greeley Mall has many, many stores, a food court, and a movieplex. The Greeley Mall also has a lot of events throughout the year. Check out the Greeley Mall website to see all the shops and activities there. The Greeley Stampede: This annual event is the world’s largest 4th of July Rodeo. This event has all the related activities that go along with a 4th of July celebration for the whole family. Check out the Greeley Stampede’s website. Business: Furthermore, I highly recommend Greeley as place to do business and to own a business. 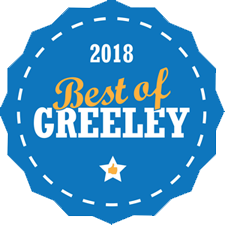 Depending on the depth of your participation in local networking events; volunteering for local non-profits; and depending on your business plan and marketing plan, you can be successful here in Greeley. I highly recommend joining the Greeley Chamber of Commerce. Be sure to get involved with the chamber. Like any association, when you join, you’ll be as successful as you want to be, depending on how much you’re involved. I’ve barely scratched the surface with all that Greeley offers. I could talk for hours about how great Greeley is but I’ll end this blog post for now. In conclusion, if I can be of service to you, please don’t hesitate to contact me. I own West Ridge Accounting and Bookkeeping in Greeley. We serve all businesses, no matter where you are located, whether it’s Greeley or beyond by providing accounting, bookkeeping, tax preparation and other related services.